At Bishop Challoner we support the work of UNICEF and we actively belong to UK’S School Campaign Network. 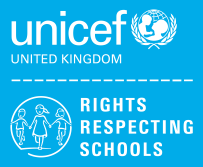 Our objective is to enable all students to be involved with the work UNICEF do and to be part of UK and global campaigns that protect the rights of children here in the UK and across the globe. The knowledge of the UN Convention on the Rights of the Child (UNCRC) enables children to recognise and enjoy mutual respect for rights and how this applies to their lives. Research shows that teaching children about their rights encourages them to respect the rights of others, and that this is reflected in their behaviour, including reduced bullying or discrimination and better wellbeing. Being part of the UK School Campaign Network has given our students a powerful platform to make their voices heard by having the chance to become active citizens for children’s rights around the world and to be part of influencing government policies in the UK and abroad. As network members’ students have taken action by signing petitions, creatively raising awareness on issues that matter to our school community and writing to local MPs and government ministers on behalf of UNICEF.